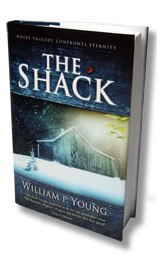 Continuing on from my first article assessing the highly popular novel, The Shack, and other people’s viewpoints in regards to the book, I will now consider the claims from some Christians that the book and its author, William Paul Young, demonstrate a lack of justice in God’s character, a lack of God’s sovereignty and the doctrine of open theism. Specifically, I am sure the words, ‘I don’t need to punish people for sin,’ cause problems for many astute theologians. But again, I think these words must be considered in the whole of the context of the conversation, and also within the main purpose of Young’s writing of The Shack. First of all, it seems, in the specific context of the words above, that Papa (or Young) is looking to eradicate the overtly grotesque image of God as the great sinner-stomper in the clouds. I don’t think Young was trying to intrinsically teach that God is not just. For me, that seems to read a lot into a couple paragraphs. Rather, it seems pretty evident that Young was trying to swing the pendulum away from the depiction of God that many gather from only reading certain portions of the Old Testament. Please believe me when I say I am not trying to negate the Old Testament as God’s revelation. It is definitely part of His revelation. But that’s just it – it is only part of the story, and a small portion of the whole of Scripture. For the one who simply undertakes a reading of something like Joshua or Judges, especially the non-Christian, it leaves a partial picture of God, and it usually is somewhat skewed as well. Thus, I believe Young is trying to contest the idea that God is a really peeved-off, old man in the clouds looking to destroy any and every person. From reading these specific words, I can only imagine that Young is also trying to emphasize the restoring and saving nature of God, especially with the words, ‘it’s my joy to cure it [sin].’ Once again, it would be helpful to keep in mind the overall purpose and nature of the book – presenting God as a relational, personal and intimate One, quite contrary to even most Christian religious teaching. Thus, we see Papa underlining the nature of God to make things right. Not only that, but the statement, ‘It’s not my purpose to punish it [sin],’ could possibly be in reference to temporal punishment for sin. If the author is trying to present the case that God does not presently judge sin prior to a final judgment, then I do believe he is mistaken. One can easily read the Scriptures (both OT and NT) and see that God does, at times, judge existing sin in this world (i.e. the conquest of Canaan, the destruction of Israel by the Assyrians and Judah by the Babylonians, Ananias and Saphira, those in Corinth who brought their selfish motives to the table of the Lord, etc). Thankfully He is abundantly gracious to not judge all sin right now. Yet, I will continue to re-emphasize the main point of the book, that being to communicate that our God is relational at His core. I do not think this necessitates that we overlook truth or teach contrary to truth. Yet, knowing Young’s continued goal of revealing our excessively religious understanding of the divine, I am open to give him the benefit of the doubt, though some would be interested in stoning me for such. In the end, to take those few words from p119-120 and build a case against Young as one who does not believe in a just God who will punish sin does seem a bit over the top to me. If we reasonably consider things, and especially what seems to be the main purpose of the book in developing a case for the relational nature of the Trinity, I think we can lay at rest the heretical finger pointing that Young holds a problematic and unbiblical view regarding the justice of God. For those who think I am letting Young off the hook too easily, I will let you know in advance that, for me personally, this is probably the biggest problem I have with the book, for I am one who holds to a high view of the sovereignty of God. Yet, I still don’t think this would ever warrant any label as heretic, nor throwing the book out. To just do a little theological summary, these words are dealing with what theologians refer to as theodicy. What is theodicy, you ask? It is basically our attempt to reconcile evil in the world with a belief that God is completely good. No doubt, we believe God is all good, or at least I do (see Psalm 16:2; 23:6; 25:8; 34:8; 68:10; 69:16; 145:3; and on and on and on). And I believe He is interested in working everything for the good of those called according to His purpose (Romans 8:28-38). Yet, there is no doubt we struggle with understanding how such a wonderfully good and benevolent God could allow such evil to continue in the world. And might I add that, since every previous generation has been dealing with this same question, I only assume humanity will continue to grapple with such until Christ returns. I will return to these thoughts in just a moment. In regards to the first quote from p145, many would follow with a great Amen after reading the words, ‘I’ve never taken control of your choices or forced you to do anything, even when what you were about to do was destructive or hurtful to yourself and others.’ For sure, many who lean towards a more reformed (or Calvinistic) view of God’s sovereignty, they have received their fair share of slack from those in the Arminian camp. Historically, many holding to the Calvinistic view have swung the pendulum so far as to almost embrace that human beings are robots in the hand of the Sovereign. Yet, some Arminians (or more semi or full Pelagianists) have swung so far the other side that we, as humans, are actually the only ones in control. Let me first say, that while I do believe God, as the sovereign Lord of heaven and earth, can take control of our choices (yes, I lean towards a more reformed view), I don’t embrace fatalism. This is the teaching that emphasizes the subjugation of all events or actions to fate or inevitable predetermination. Fatalism seems to emphasize the robotic nature of humans. While, again, I embrace the sovereignty of God, I do not embrace the idea that we are robots. Rather, I try and hold to what I believe is a more healthy view – that Scripture teaches both. It is a mystery how God can be both sovereign and humans also be responsible for their choices, but I believe the Bible espouses both. I don’t have time to go into great detail with these passages. But nonetheless, I am only relaying to you that I have a high view for God’s sovereignty amongst His creation. He is the potter, we are the clay, and that is the pure and simple truth. Or, to say it in the words of Paul: ‘But who are you, O man, to answer back to God?’ (Romans 9:20). Also, consider whom it was that sent the angel of death into Egypt to have the firstborn sons put to death. It was the Almighty One – ‘At midnight the LORD struck down all the firstborn in the land of Egypt, from the firstborn of Pharaoh who sat on his throne to the firstborn of the captive who was in the dungeon, and all the firstborn of the livestock’ (Exodus 12:29). And those three passages above are interesting to consider. Many like to speak of God ‘allowing’ evil, calamity and disaster. But these Scriptures seem to speak of God being the cause. Ouuuch! Our God is not necessarily for the faint-hearted. And, the greatest pointer to God planning and outworking tragedy is in the death of His own Son. This is where theodicy hits us, and hits us hard. God, I thought you were good? What is all of this? And if you thought I (Scott) was going to explain this in my article, you have got to be kidding! Again, this is something humanity has dealt with since the Garden, and we will continue to mull it over in our hearts and minds until He returns. And, even then, I am not sure He promises an answer to it. But the conclusion I have come to in my own heart is this – If God is willing to plan out and ordain the death of His own Son on our behalf, the brutal murder of the One that was with Him from the beginning, the excruciating death and pouring out of the Father’s wrath on the only One who ever lived a blameless life, then I can lay to rest any animosity towards our God who seems to not only allow calamity at time, but orchestrate it. I am sorry if this is not where you find yourself. But I thought it worth sharing my own heart. I wonder sometimes if what we label as ‘bad’ is actually out of our overly sensitive emotional and finite state, or from the eternal and divine perspective? I would guess it is the former. Yet, once again, bear in mind Young’s purpose in writing the book. For him to make such statements as found on p145 and 185, I can only imagine his purpose was to challenge the overly reformed, Calvinistic box that has been set up that presents humanity as ‘robots in the hands of an angry God’. And, for this, I can actually applaud Young. Because I spent so much time on the whole idea of God’s sovereignty as presented in The Shack, my hope is to only briefly touch on the theology of open theism, at least for the reader’s sake. Open theism basically asserts the idea that God is open to influence through prayer and the actions/decisions of humans. God knows everything that has been determined as well as what has not yet been determined, but He is open because of humanities own free will and choice. Now, it is my understanding that open theism can even lean as far as to say nothing is planned or determined by God because He is completely open to the choices of humanity. Well, I cannot personally embrace such considering the Scriptures quoted earlier, or the whole of the Bible. And I believe God not only knows all, but He has also planned it out. Yet, for me, what I find helpful is when I consider open theism as somewhat helping to explain what theologians might also refer to as anthropomorphisms in Scripture. We know that God, in His essence, does not have a physical body, and therefore does not have a hand, face or back. Jesus said, in John 4:24, ‘God is spirit.’ But here in Exodus, God has revealed Himself to Moses in such a way that He might relate with Moses, and us. Holding to a high view of God’s sovereignty, I don’t think humanity’s sin early on in Genesis had caught God off guard. He was well aware of what would take place. But, I believe God designed that His revelation of Himself would come to us in an anthropomorphic way, all that He might relate to us as finite creatures. If God had revealed Himself in all His glory, in all His infiniteness, I think our minds would explode. So, what does God do? He does what Calvin referred to as ‘baby talk’. He stoops to our level so we can have some understanding of Him. It is quite beautiful, for it proves His relational heart towards the crown of His creation, that is us, human beings. I do believe that God is transcendent and completely other than us. But He has declared it from the mountaintops that He wants a relationship with us. And, so, while I don’t inherently embrace open theism, nor do I know if Young would claim such either, I am ok to see open theism as somewhat of another explanation of God’s revelation being anthropomorphic. They aren’t the same, but I see them as somewhat related. God inspired human beings to record His revelation, and that revelation is presented to us, at times, that God is somewhat like us as humans. But this was done so that He might be somewhat comprehensible and that we could have relationship with Him. Thus, I do not believe it worthy of disregarding The Shack simply for its lack of a higher view of God’s sovereignty. And, as you tire of my reminders, do keep in mind Young’s main thesis – to convey the relational heart of God. The author has done that, maybe at the expense of having a low view of God’s sovereignty, yet I still don’t think it worth completely discarding the book. There are many things to learn from its pages. My final article will come in the next couple of days in which I plan to look at the two big accusations against the book – modalsim (or a form of it known as patripassianism), a faulty Trinitarian view in regards to function, and a faulty view of the Father. I leave you the link with a critic of the novel from a theological point of view. Thanks Jean. I hope to be able to look at the article soon.